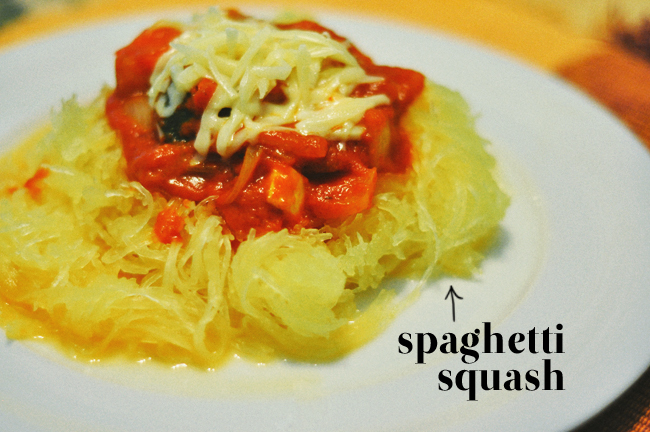 Spaghetti squash is a great alternative to pasta, potatoes, or rice. The cooked squash shreds into threads like thin spaghetti or vermicelli. 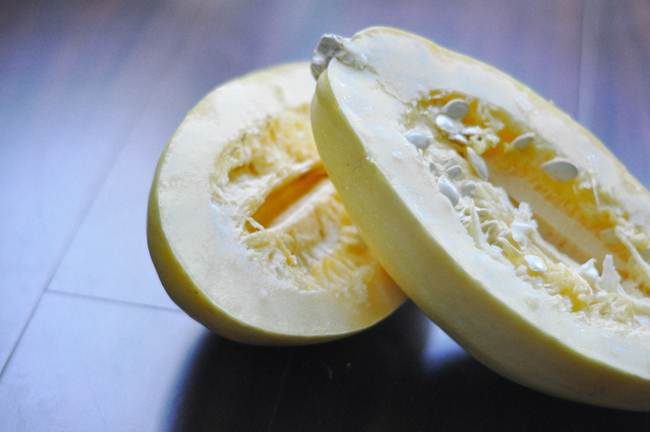 On average, a spaghetti squash measures about 12 inches in length and about 6 inches in diameter. The squash should be an even light yellow colour and firm with no bruises. 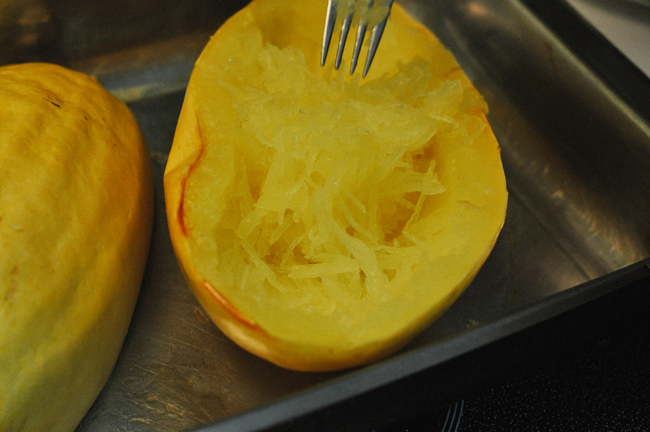 Spaghetti squash is available year-round with peak season in fall. The best part is it's ridiculously easy to make. 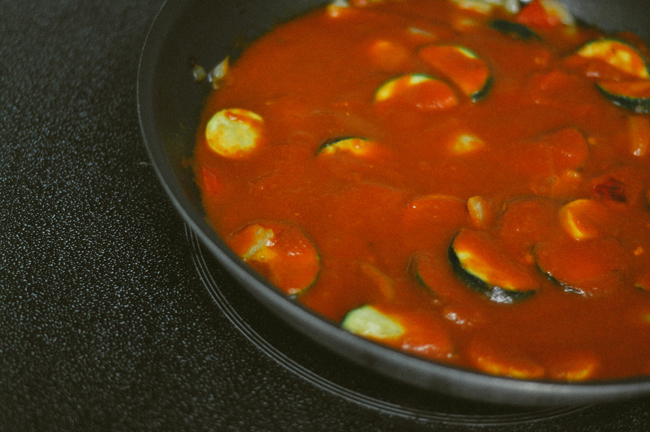 We chose to serve our spaghetti squash with tomato, zucchini, and mushroom sauce.